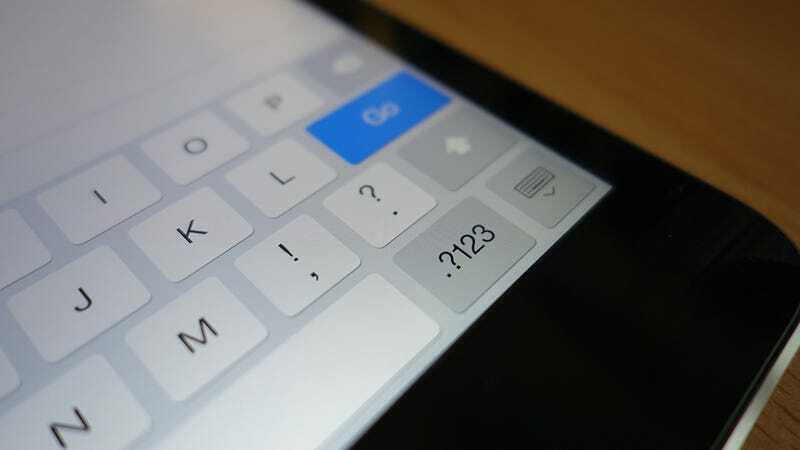 Apple is adding some new functionality to the keyboard in iOS 8, but while you're waiting for it to arrive here's a handy trick you can use now: tapping and sliding on the keyboard lets you switch between modes and change letter case more easily. Instead of tapping the . ?123 button to bring up the alternative set of keys, press and hold it. Slide along to the character you want and release. You'll be sent back to the regular keyboard automatically, and the trick works the other way too (if you're entering a lot of numbers perhaps). You can do the same with the Shift key—tap and slide and release to quickly insert one uppercase (or lowercase) character. It's a trick that's been around since the iOS keyboard first appeared, but if you haven't come across it before then consider yourself enlightened.